Crawling across a desiccated landscape, the Robot Carnival comes barreling its way onto Blu Ray for the first time in North America! 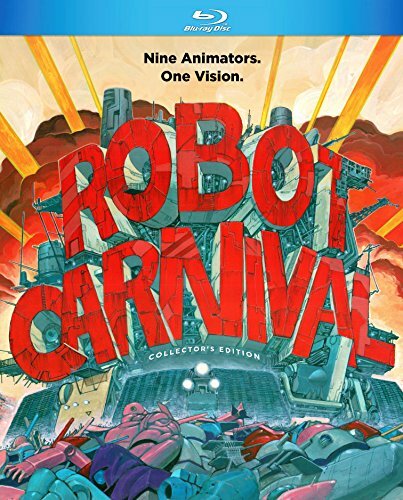 A visual treat for the eyes as well as the mind, Robot Carnival is an anthology collection of nine short films, many done by animators before they got their feet wet in directing. From funny to dramatic, artistic to entertaining, each story reaches towards the furthest corners of time and space to bring you a tale of robots, and the people who make them. Whether you have a love for great hand-drawn animation, an appreciation for fine storytelling, or just like robots, this anthology is a must! This includes the original Japanese language with English subtitles, and the original English dub!